A must have this season, this trendy pair of double sided ball earrings made with Sterling Silver 925 and Rhodium plated. 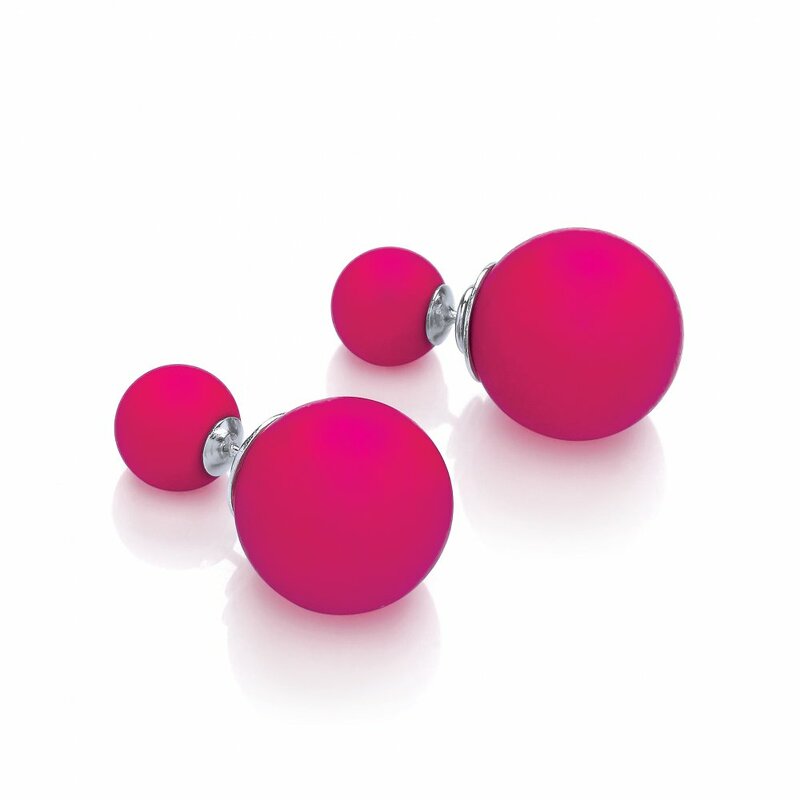 The studs features fuchsia shell spheres of two different sizes. Available in a range of colours. The earrings come in a beautiful David Deyong pouch.